Bison Kevin Negus goes for a kill. 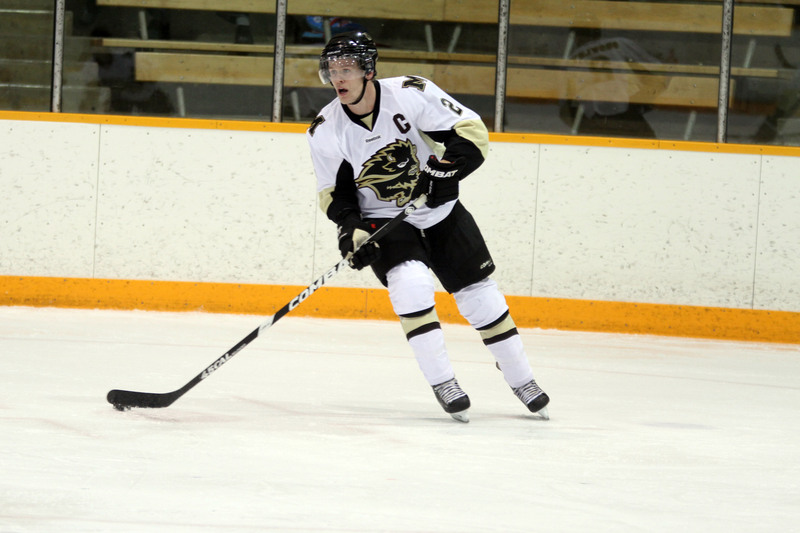 Legaree, hailing from Atikokan, Ont., a town of just over 2,700 people nearly six hours east of Winnipeg, was offered a spot after practicing with the Bisons in his first year. Legaree said he has had to make a few adjustments since coming up to the U of M, like getting used to the speed of game and balancing athletics and the school aspect. A big difference between Winnipeg and Atikokan is stoplights. “The city [was] a big change for me. I didn’t have any stop lights on my streets growing up so the driving is a lot scarier, it’s an adjustment for sure,” Legaree said. 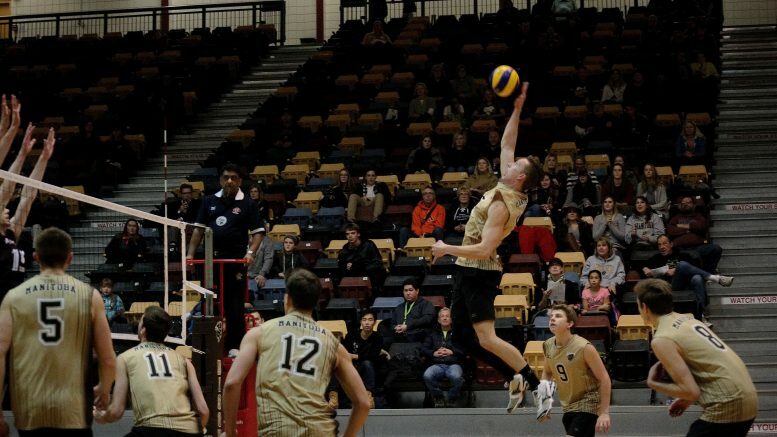 Despite not playing much competitive volleyball in high school, Legaree said his coach – who also happens to be his brother-in-law – tried to get as many opportunities to play against top competition as possible. During his first year last season, when the Bisons were one of the top teams in the country, it was a wild ride, even from the bench. A few hours west of Legaree is the Negus’ hometown of Sioux Lookout, Ont. Negus came to the U of M after a surprising email from Bison head coach Garth Pischke. “I had my heart set on going to Southern Ontario for volleyball, pretty much all my family is from down there,” Negus said. Grant Legaree, wearing number 10 during a timeout. Provided. Both Legaree and Negus have an affinity for the outdoors and enjoy hunting and fishing. Northwestern Ontario is renowned for its world-class fishing. Growing up in a town of nearly 3000 people, Negus said he didn’t play a lot of sports, just because of the limited opportunities in a smaller town like Sioux Lookout. “I didn’t really play a whole lot of sports when I was younger just because there wasn’t really anything to do,” he said. Negus also played high school volleyball, but started much later than his teammate Legaree. Legaree started playing in Grade 7, Negus picked up the sport in his grade ten year. “I think back when I was in Grade 10 I was five-foot-four and probably like 70, 80 pounds less than what I do now, so I didn’t have any expectations to make the team and I did though [and] ended up getting a little bit better every year,” Negus said. 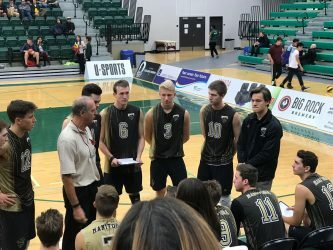 Ending up at Manitoba was a nice touch for Negus, as he is relatively close to home and playing for the one of the best volleyball programs in Canada. “It’s pretty special coming from a small town and being on such a good team with such a history of winning and everything,” he said.